Click here to view our selection of Kubota L series tractors! TAYLOR FORBES EQUIPMENT CO. INC.
At Taylor-Forbes Equipment Company, our goal is to make the most reliable and valuable products available to our community. Our trained techs have years of experience in service and repair and our friendly sales staff is always eager to assist customers. 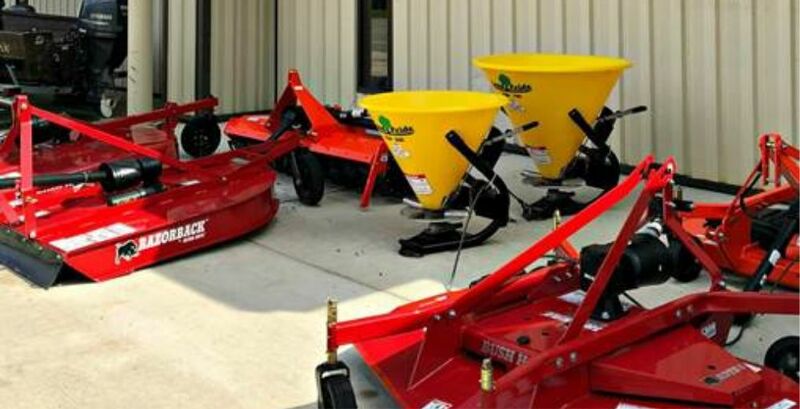 Look to Taylor-Forbes Equipment Company, Inc. for all your lawn and garden, powersports, and agricultural equipment needs. Family owned and operated since 1944. We are the lawn and garden supercenter in Farmville, Virginia! We sell and service many top brands, including Kubota, Polaris, STIHL, Husqvarna, Toro, Gravely, and Honda Power Equipment. From zero-turn lawn mowers, riding mowers, and push mowers to handheld products and generators, we've got the products to keep you productive! Don't miss the fully stocked shelves of oils, blades, trimmer lines, protective apparel, and accessories in our parts department! For all your tractors and agricultural equipment, ATV and side x side vehicles, fishing boats, and Jon boats, look no further. We consider each alternative carefully and select the best of each line to represent. We carry the latest and greatest from Kubota, Polaris, and other trusted brands right here in Farmville, Virginia. Questions regarding any of our products? Call (434) 392-4139 or send an email to info@taylor-forbes.com. We are here to serve you.